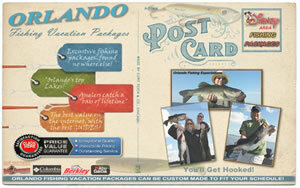 Package Fishing Vacations with Hotels and Resorts for All Inclusive Florida Fishing Travel Vacations, Spring, Summer, Winter & Fall Travel Deals on Sale NOW! CUSTOM PACKAGES MADE FOR YOU! We have package fishing trips at all the most popular lakes in Florida, here a few of the lakes Lake Okeechobee, Florida Everglades, Peacock bass, Lake Istokpoga , Winter Haven Chain, Lake Kissimmee , Stick Marsh , Lake Toho , Butler Chain , Conway Chain , Harris Chain of Lakes , Lake George, St Johns River & Rodman Reservoir. We offer inclusive packages fishing trips for the entire state of Florida, with motels, hotels, cabins, resorts that fit any budget. We maximize your dollar and experience, creating a trip of a life-time to fit your budget. 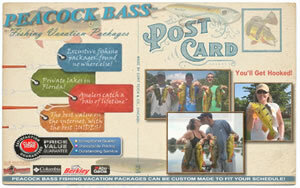 Give our staff a call to discuss the best package for you, it truly 1s the most convenient way to go on a fishing trip!. 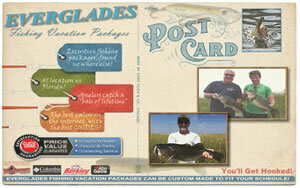 Don't hesitate to send us an email request, all we need to know is how many anglers will be participating, your preferred destination of choice (Miami, Orlando, Lake Okeechobee, etc) and how many days you would like to fish and stay in the accommodations. Once we have these items we can email you several different quotes to meet your needs and budget. Most all trips are packaged with full days (8 hours), although we can accommodate shorter or longer days depending on your preference. ****All packages fishing trip include your fishing guide, 8 hour fishing trips, rods, reels and tackle, accommodations, all resort fees, taxes...a true package fishing trip for your next Florida fishing vacations! CALL TODAY - (888) 629-2277 or EMAIL US FOR MORE INFORMATION our click below on a location you desire to fish to get package pricing! Additionally if Saltwater Group Trips or Florida Fishing Vacation in the Saltwater please visit our sister website at these links.